You will find below our financial services Twitter Top 10 in the Asia Pacific (APAC) region. 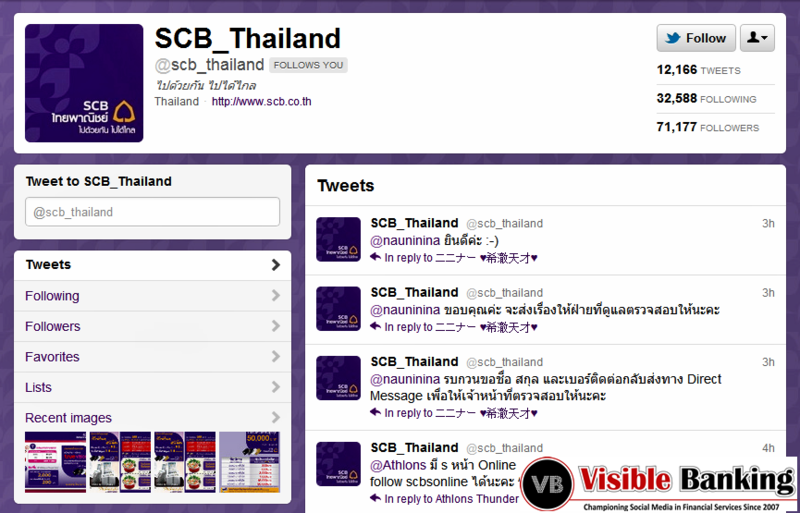 Currently, two leading thai banks are topping the chart comfortably with an aggregated 130k followers. The levels of activity, engagement and ‘success’ vary tremendously from one region to the other. The EMEA region is still lagging behind North America, and it doesn’t seem as keen to engage in conversations as the more and more active LATAM and APAC regions. So wondering which countries are leading the twitter revolution in APAC? Which financial institutions are the most followed on twitter? I invite you to watch our Top 10 video countdown which includes 4 countries. Companies mentioned: BNI, CIMB, Kasikornbank, SCB, Mandiri, Maybank, NAB and Westpad. Please note that the size of your follower base on its own doesn’t reflect your level of success on twitter, the volume and quality of your engagement is even more important.